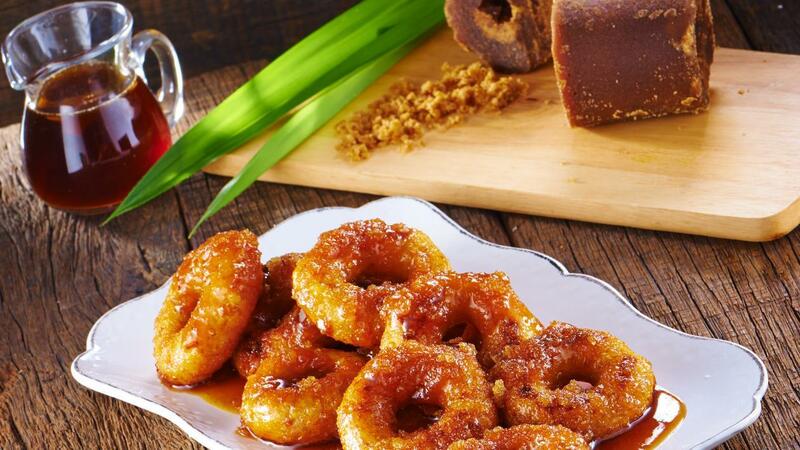 This traditional kuih is richer and denser with the addition of Knorr Mashed Potato. Boil water with full cream milk, sugar and salt. Add in Knorr Mashed Potato. Wait for 20 seconds before stirring. Stir until well mixed. Chill the mixture. Mix wheat flour with baking powder using a mixer. Add in the chilled potato mix. Weigh out 30gm for each dough. Roll each dough into a ball and make a hole in the centre just like a doughnut. Add in all ingredients to make the sugar coating into a separate pot. Stir till all sugar has melted. Add in the fried potato and coat well with the melted sugar.